Will the white icing harden on the cookies? I have to travel with them and make a lot so I need to be able to stack them. Thanks! Yes, it does set up. I made these for for a Halloween party for the teachers at my daughter’s high school. She is 17 and has been GF for 4 years and vegan for one so she is very sympathetic to the teachers with food allergies who often get left out of the traditional treats. I was worried my cookies would not turn out this cute, but they did! 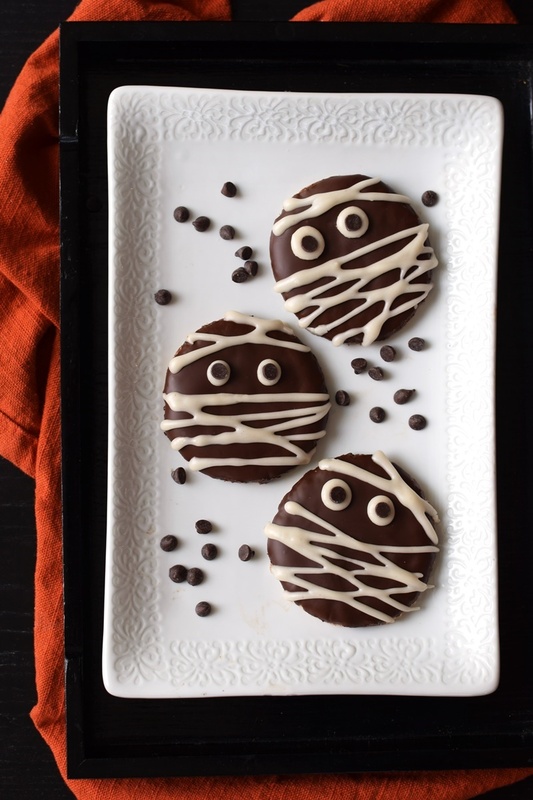 Not only was this recipe super easy, our mummy cookies were the first treats totally gone and many teachers raved about how good they were! Thanks for this great recipe! Oh, I had leftover melted chocolate and my non vegan DH and DS scraped every drop out of the pot and ate it! 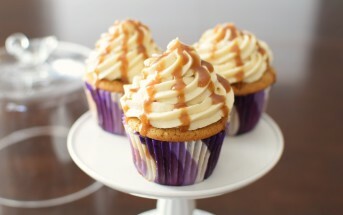 I am about to bake again for our high School pie day and am going to give the vegan caramel sweet potato pie a shot. Found vegan pie crusts today. Woo hoo! Awesome! So glad they worked out well for you Julia and enjoy the pie! These cookies are so cute! Enjoy Life products are the best. 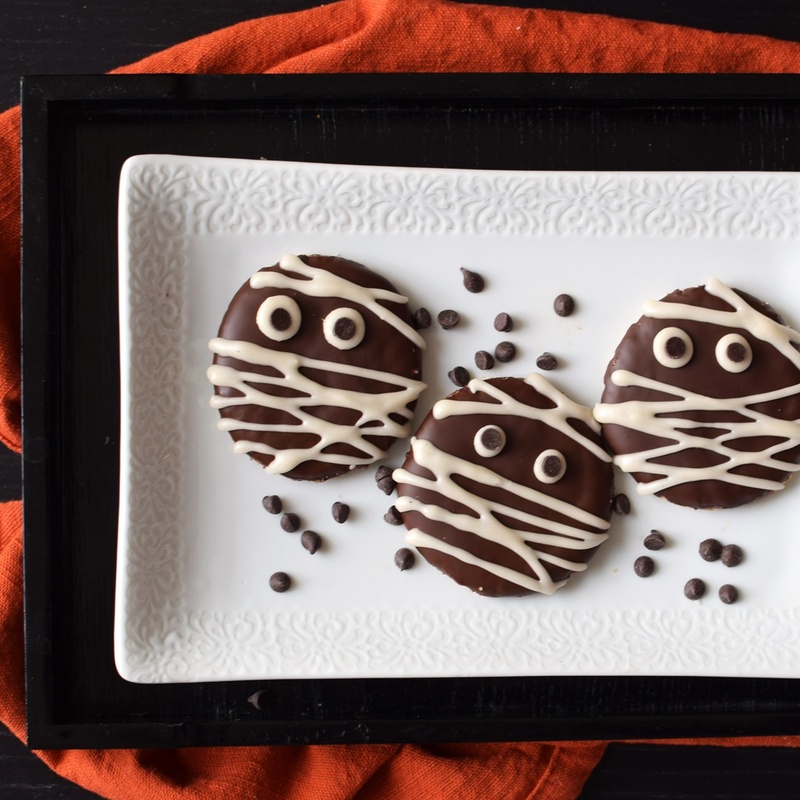 These are so so cute and since you are just buying the cookies and chocolate, it is SO doable! So freaking adorable, love the idea and I would gladly eat a whole tray of these, haha! 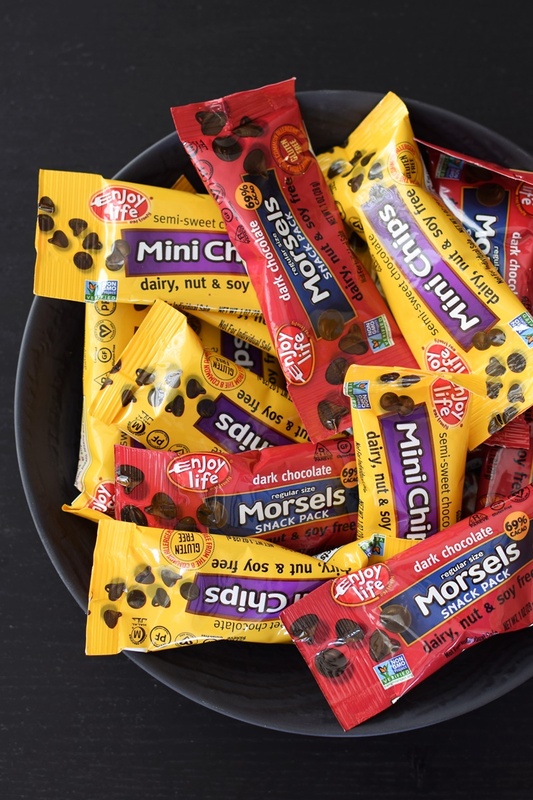 Hmmm…favorite Halloween treat? Mine used to be Reeses Pieces. Now I think I’d go for anything with dark chocolate 🙂 YUM! My 5 year old figured out that Skittles were vegan and he’s pretty much obsessed with those! 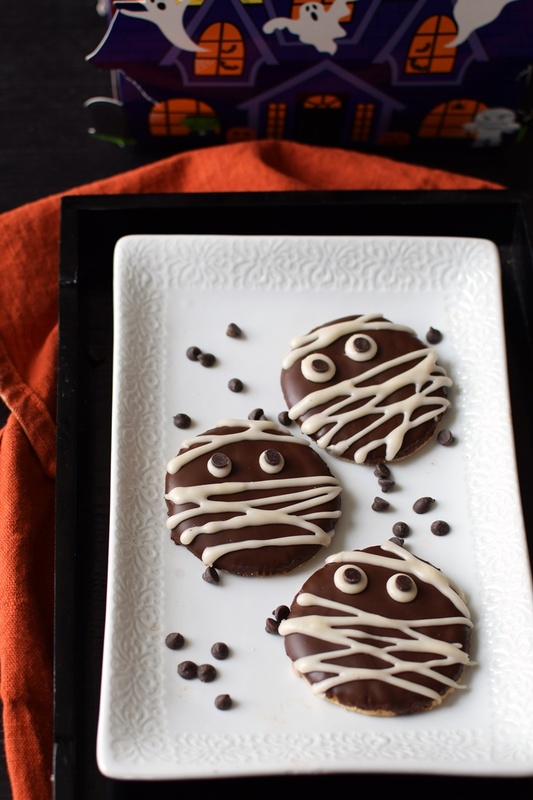 I would totally “Pinterest Fail” these, lol, but they look ADORABLE! 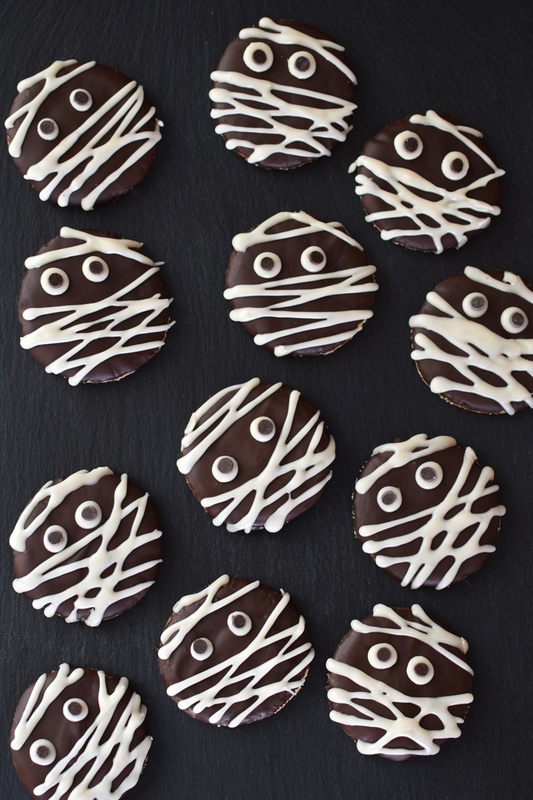 These Mummy Cookies are so adorable, and certainly crafty! My toddler would love these for Halloween!